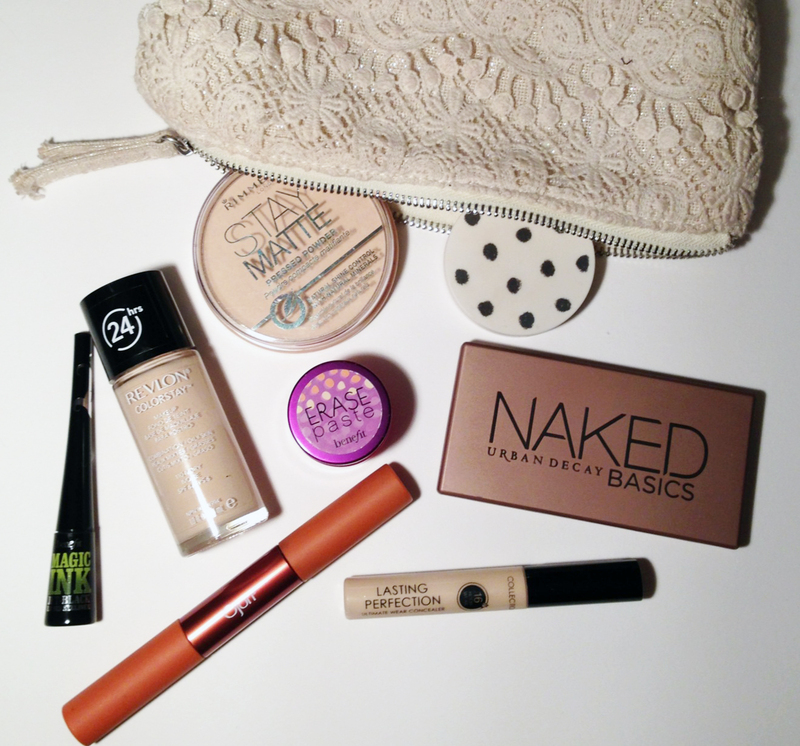 amyalaska: What's in my makeup bag? Here I will go through each item, and give my honest opinion on each of them. First off, concealers. 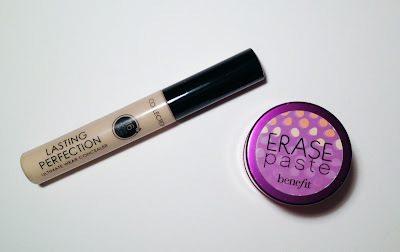 I've had the Benefit Erase Paste in Light (£19.50) a while now, and it does the job nicely! I usually dab a little on the darker areas of my face (around nose, under eyes) to brighten them up a little before I apply foundation. It has a very thick consistency and can be hard to blend sometimes, and I wouldn't recommend using it to cover a pimple, as it can get a little cakey after a while. This is where the Collection Lasting Perfection concealer comes in! (£4.19) I use shade 'Fair 1' Most days I use this concealer instead of the Erase Paste, simply because I'm not limited to where I can apply it. It lives up to it's name and lasts all day, and the consistency is just right for easy blending. The cheaper price tag is also a definitive plus! I decided to group my foundation and powder together as I don't have much to say about the powder! 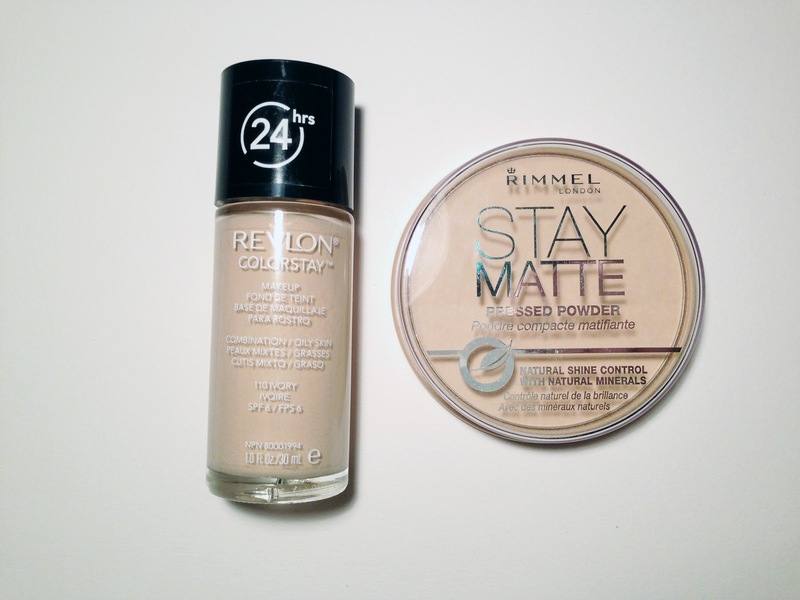 I have a rather oily face, so like to begin my day with a light dusting of Rimmel Stay Matte Pressed Powder - Translucent (£3.99). I tend to top this up throughout the day if my skin becomes a bit dewy again. It isn't very pigmented, which is great for my skin as I'm super pale! The foundation I'm currently using is Revlon ColorStay in Ivory (£12.49). I love this foundation as it has good coverage, and is made specifically for oily/combination skin. It also has SPF 6 which is always an added bonus. It's probably the closest to my skin colour out of all foundations I have tried over the years, if you have pale skin you'll know what I mean! It's so hard to find a good match, but this one seems to be close enough! I use my Real Techniques Stippling Brush (£11.99) to apply this product, and set it with the powder I mentioned above using my Real Techniques Powder Brush (£12.99) - more on the brushes later. 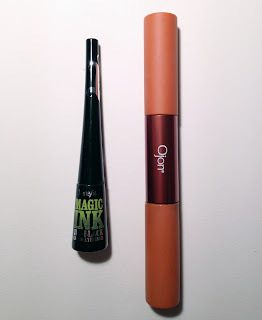 These two are my current favourite mascara and eyeliner. The eyeliner is Benefit's Magic Ink (£15.50) which is a lovely deep black. 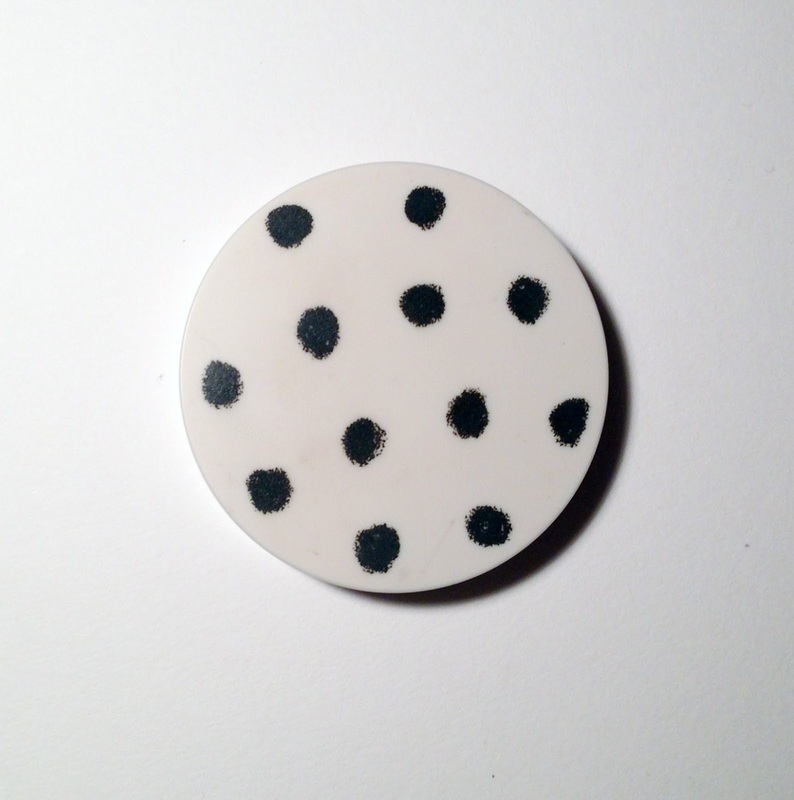 The applicator tip is quite sturdy and pointy, which allows you to get a very smooth, precise line. I'd highly recommend this product, and I'd say it's worth the money! 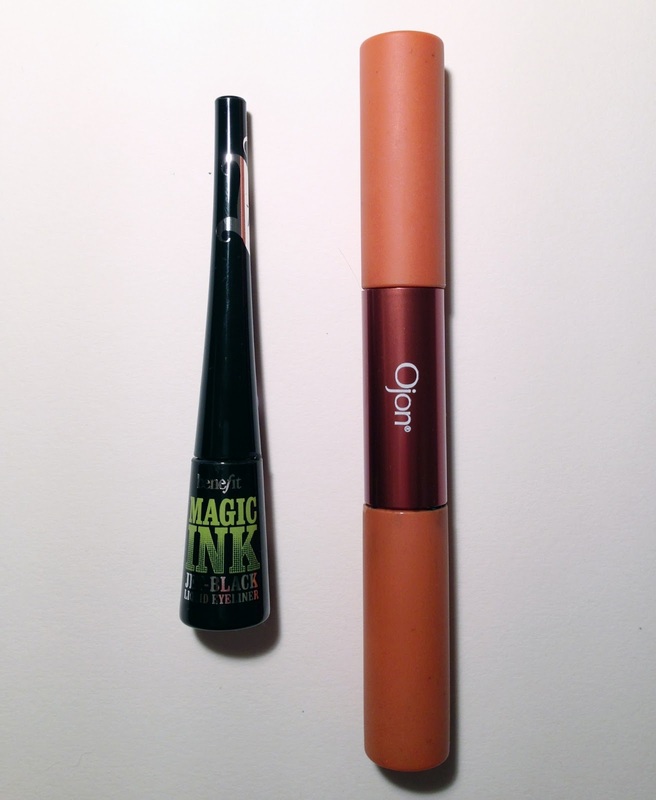 My current mascara is by Ojon, and has a restorative lash treatment on one end, and a black mascara on the other. I haven't used the treatment end very much, but when I use both together, I do notice my lashes looking a little longer. I'm unsure of the price, as it was a christmas present! I really like this mascara as it goes on nicely.. stays on all day, and comes off nicely too! I can easily wipe it away at the end of the day with a normal face wipe. I've been trying a few products by Ojon recently, and so far they've all been great! 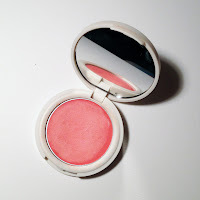 I recently picked this up in Topshop after having tried one of their other cream blushers. This shade is Head Over Heels (£6.99). I think this colour is more suited to my skin tone than 'Prime Time' which I was using before. Both are great blushers, and easily blended in with your fingers. I got hold of this lovely set of Urban Decay Naked Basics eyeshadows from Debenhams earlier on this year. I forget how much it cost me, as I used a discount code, but this palette usually retails at around £20.00. 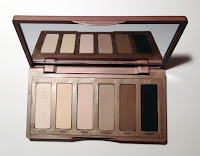 Before I purchased this, I rarely used eyeshadow, but I think the fact that some of these shades are so pale works well for me, as they don't seem so daunting! The colours are well pigmented and go on really well, blending smoothly. I would write more about this palette but it's all been said before! 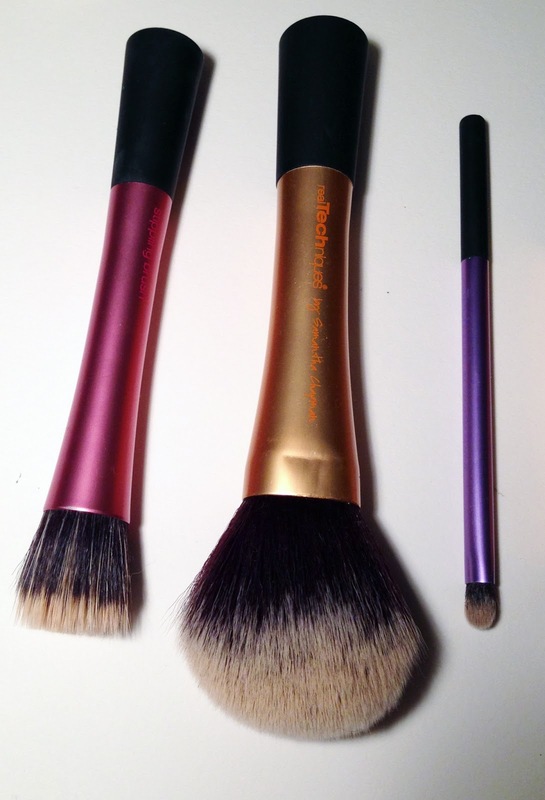 Last of all, a little bit about my brushes! All of my brushes are 'Real Techniques' and I usually pick mine up from Boots or Superdrug. I think they used to be exclusive to one of these shops, but now they seem to be available in both! I started out with the Core Collection - pictured right (£20.99) which also comes with a handy little carry case. I'd never really thought much about brushes before the end of last year, and only used cheap ones for my powder and blush. 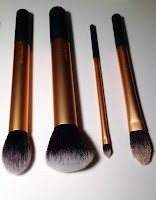 The quality of these brushes is amazing, they're just as soft as they were when I first got them! They clean really well, and I've never experienced any shedding with them. Nowadays, I rarely use the two pictured on the far right, as I prefer my Stippling brush (£11.99) to the Pointed Foundation brush, and I rarely need to use a brush as small as the Detailer. Every single one does its job perfectly, and I'm so happy I decided to get them! I love the lasting perfection concealer :D but really wanna try the erase paste! I love the naked basics and real tech brushes! Me too, I don't know where I'd be without them! great ispiration thanks for sharing! 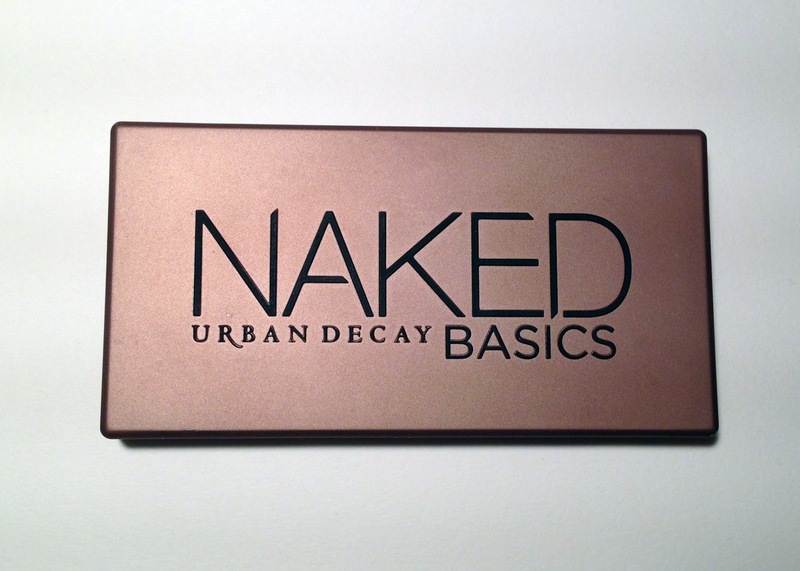 wow really cool beauty products, I love the urban decay palettes! Thanks! 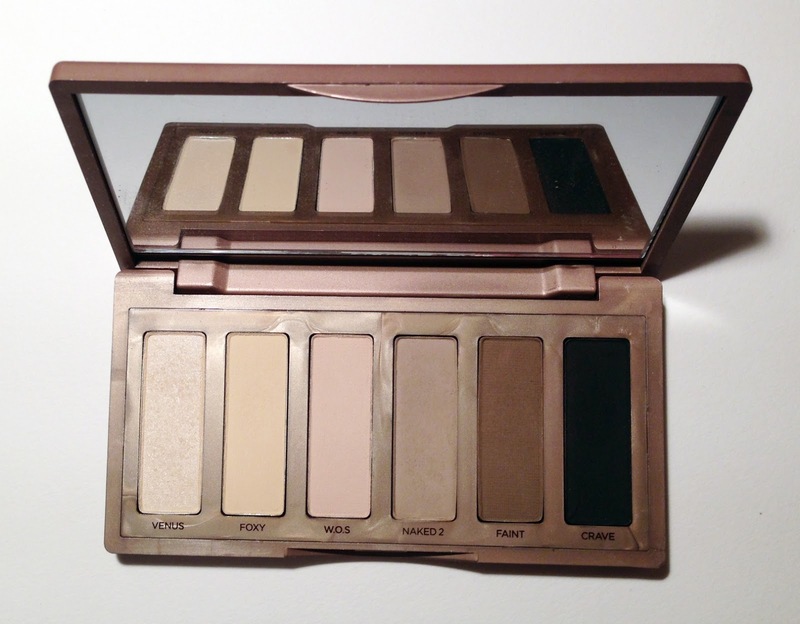 And me too, I'm really tempted to try the Naked and Naked 2 next! 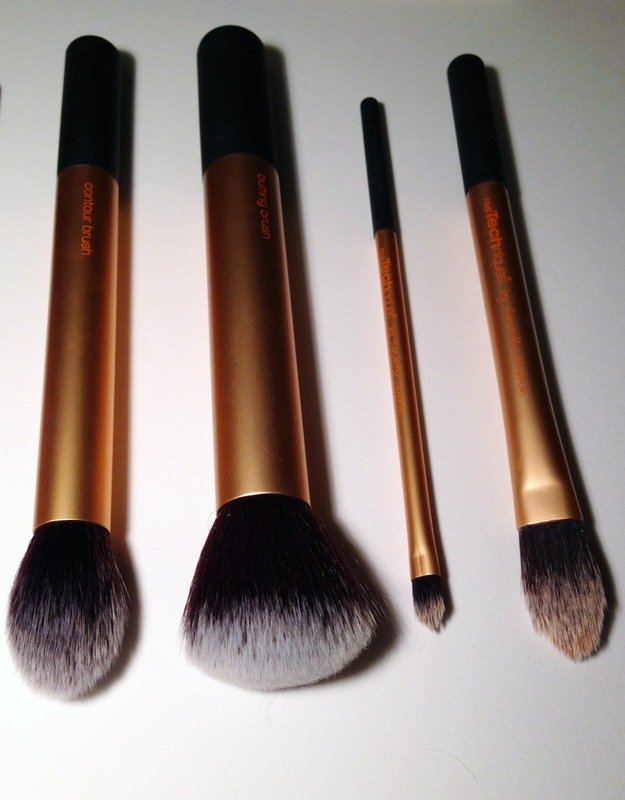 Nothing not to love about the Real Techniques brushes. We just got some in Canada and I absolutely adore them!